I’m lucky enough to have lived in Mombasa for four months and managed to travel up and down the Kenyan coast. I was coaching cricket and helping out with P.E. lessons at Braeburn Mombasa International School. Which meant I spent all week at work but had most weekends free to explore. A lot of my friends working at the school were expat workers and were very keen to see and explore the area whilst they were in Kenya. I spent majority of my time in Mombasa so I’m going to start of by writing about my times in the city of Mombasa. Mombasa is an old port city with a very strong Arabic, European and Indian heritage which is due to the slave route which passed through Mombasa. All of this adds to the city with many different delicacy on offer throughout the city and many different restaurants and bars to visit. Most Saturday’s were spent at a small bar called Samba where I watched the football and shared few Tusker beers with friends and the many locals watching the football on the big screens in the bar. My Sunday’s in Mombasa where spent playing cricket in the Kenyan Coast League for Mombasa Heat. The team was manly made out of expats and friends just enjoying a social game of cricket every Sunday. Win or lose we always managed to have a good laugh and enjoyed a few well earned beers after the game. You cant go to Mombasa and not visit the amazing beaches. The crystal clear blue waters are ideal for a day sitting on the white sands drinking Tusker and enjoying the warm weather Mombasa has to offer. After a long day on the beach me and a few friends usually headed to the many bars Mombasa has to offer. Getting the local Tuk Tuk taxi’s was the easiest and cheapest way to get to the clubs. Most clubs in Mombasa have an African vibe, playing lots of Reggae and the African hip hop. The city also offers many Irish and English styled bars and clubs. My first time to Kilifi was to take part in triathlon. My friend invited me to join him in the triathlon. I had no training whats so ever and was thrown in the deep end. The race started with a swim in the blue water of the the Kilifi creek. After the swim i then had to bike 20 kilometres through the plantations and farms on the south side of Kilifi. The Race finished with a 5 kilometre run, to which I was glad it was finished. We celebrated the race with a nice burger and a few beers with the other competitors in the race. The second time I came to Kilifi was on a family holiday in 2015. 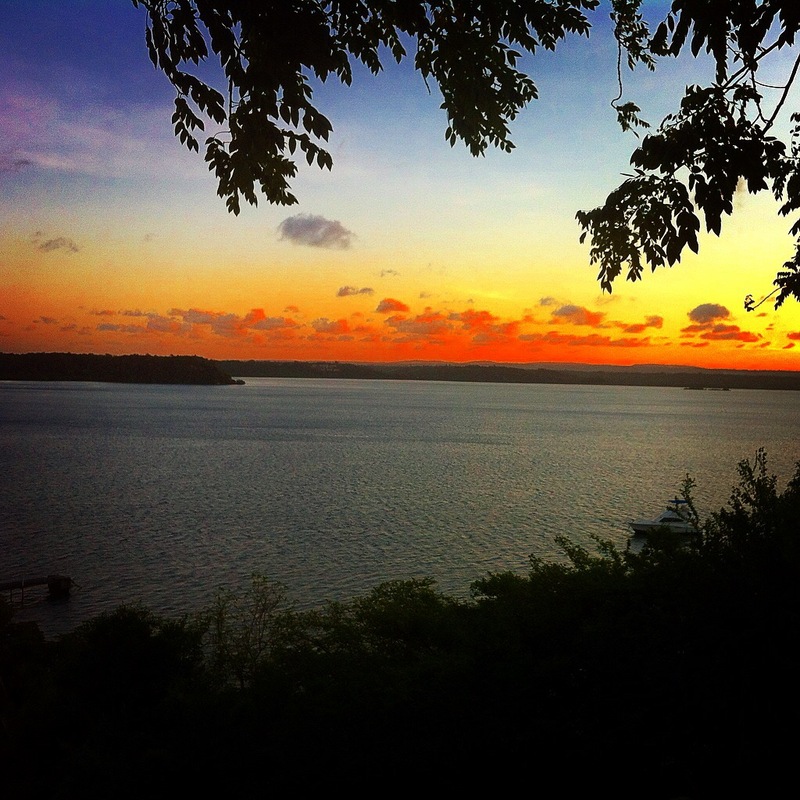 We hired a place out on the shores of Kilifi’s Bofa beach for 10 days. With the house located next to the beach most morning where spent walking a long the beach with the dog, paddling and snorkelling in the shallow water seeing if we could find anything interesting. Most of the time we just found tiny shoals of fish swimming and the odd crab lurking under the rocks. When at the house the spent either in the pool or lounging around reading a book or having a few drinks whilst watching the local fisherman fishing in the tiny dhow boast out at sea. One morning we got our seeing fishing rods which we managed to remember to bring and had a go at sea fishing from the each of the beach. After several hours of casting we decided to call it a day without catching a single fish. Lucky for us the local fisherman managed to catch plenty of fish and they come round selling what the have managed to catch from their morning out at sea. We decided to get a few prawns and a huge snapper fish which we had for dinner that night. One of the days we got invited to spend the day at our friends house which was located on Kilifi creek, there’s lots to do on the creek. Our friends owned a boat so they took us out on the creek for majority of the day. We decided to add a rubber donut to the back of the boat, the kids hoped and we were whizzing around the creek. This was so much fun for my cousins and there friends as they often fell. After all the fun of riding around the creek we decided to anchor the boat up and have a few drinks. The few was so nice with all the fisherman out on there little boats trying to catch the last fish for the day with the sun setting slowly in the distance. 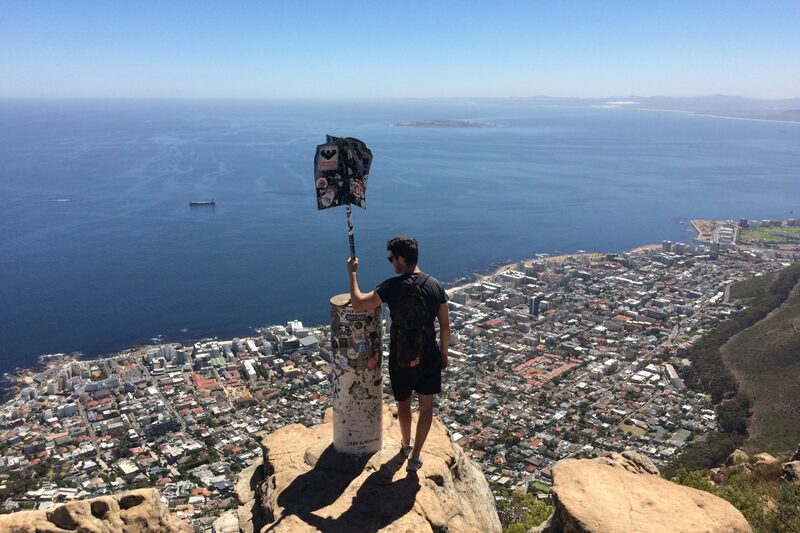 To finish the day of we head home to have sundowners and food watching the last of the sunset. The next I remember taking my eldest cousin to Distant Relatives Ecolodge and Backpackers which is on the edge of Kilifi. This is a really cool hostel were you get many young travellers. The hostel has a nice Reggie vibe and is very chilled out. We spent the afternoon just chilling and watching the world go by. 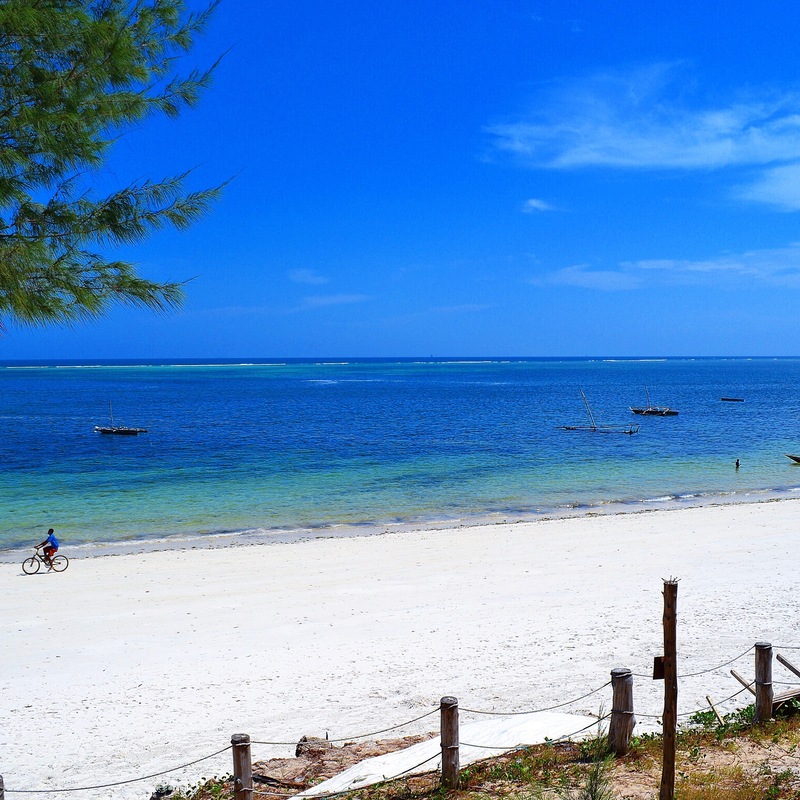 Diani is different to the other beach towns in Kenya. It is more developed, with serval more tourist coming to Diani than compared to the north coast. There plenty to do in Diani such as snorkelling, scuba diving and kite surfing. I visited Diani a few times with friends an usually spent the weekend there. We hired a cottage along the Diani strip and was only a few minutes walk to the beach. 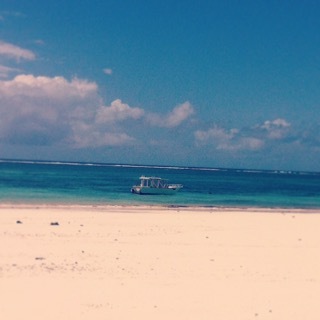 The clear blue waters of Diani where perfect to go snorkeling in and there was usually planty of marine life to see. The reef acted as a natural barrier, which meant no sharks or other big marine animals could enter the reef. this made it safe to go and enjoy the warm blue waters. After a long day in the sun relaxing the forty thieves bar is the best place to spend your evenings. Forty thieves bar is right on the beach and is the perfect spot to have a few drinks and watch the sun set. The bar is very chilled and they play all types of music. If you’ve got the energy to party all night you will part until you are greeted with the most amazing sun rise over the Indian ocean.